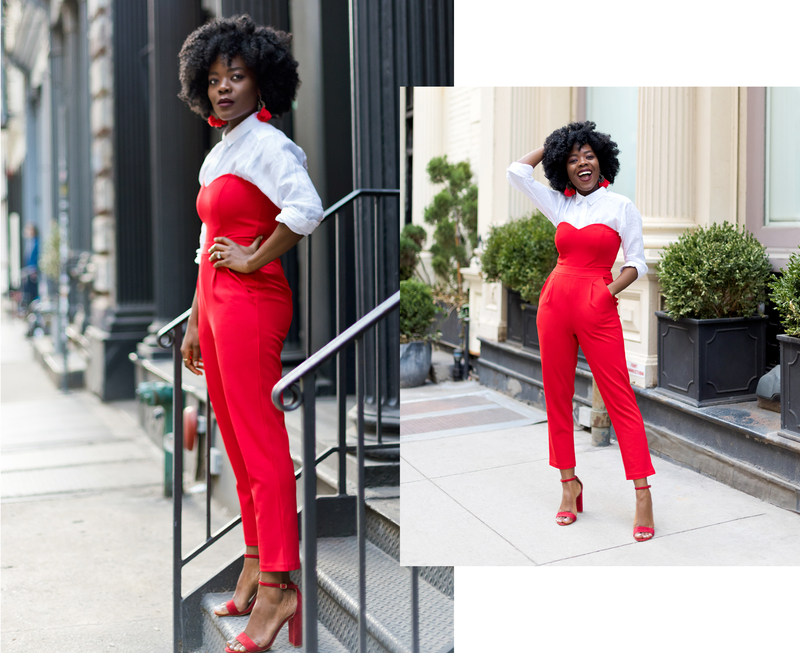 This week, Cynthia of SimplyCyn, takes on the hottest spring style two years running: jumpsuits. She applies her typically vibrant flair to two of our most classic and versatile shapes. Use this clever primer to help you get that tricky jumpsuit out of the closet and into street style lenses where it belongs! If you’ve been following me for a while, you know I love jumpsuits. I adore jumpsuits. I wear them all the time, any season, and I’m always looking for new styles and new fits in different silhouettes and prints. Jumpsuits are surprisingly versatile. They can be the point of focus, or they can be more subtle as part of an ensemble. Or you could just rethink them all together and style them in unexpected ways. 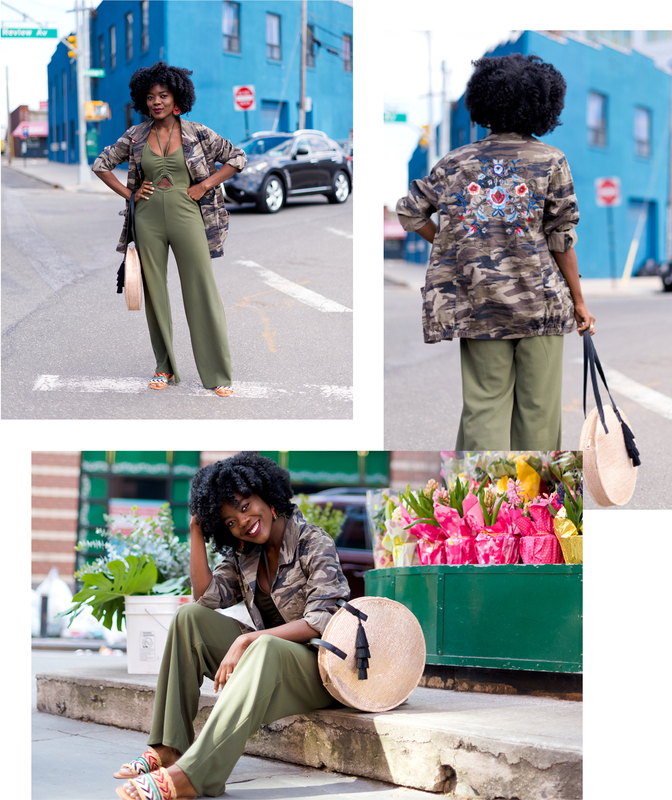 Here are 3 ways I like to style my jumpsuits. When a jumpsuit is your star piece, you have to make sure of a couple things: the fit should be perfect, and you should be able to get in and out of it (bathroom break and all) easily. While the fabric and cut you select is sometimes dependent on weather, there is still plenty of flexibility to be had. Depending on the occasion and the season, go for a strong color. Layering is the best option when the weather isn’t fully cooperating yet. You can still wear a jumpsuit but how ‘bout topping it off with a denim jacket, a leather jacket, a cardigan, or even an camo jacket as seen here. 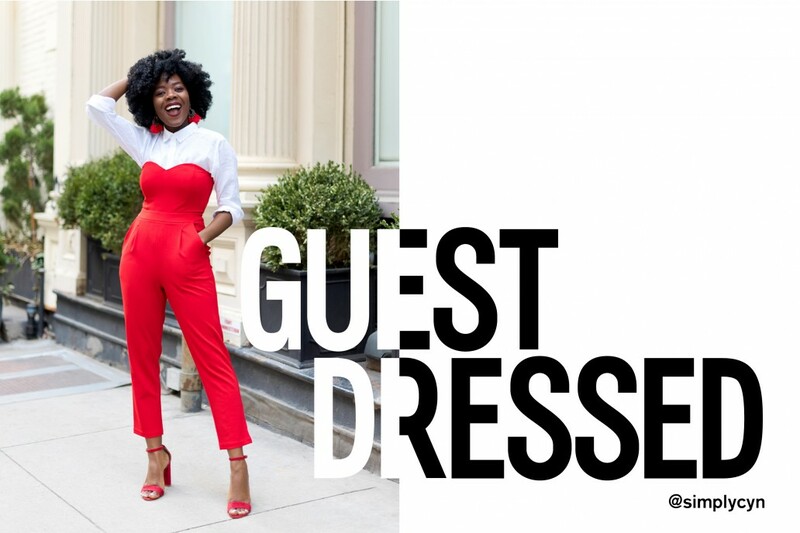 The bustier jumpsuit look is lovely for cocktails and late nights, but you can make it work during the day by switching up the styling a little bit. For example, here I add a white shirt and immediately it becomes not only more daytime appropriate but easier to transition for a nighttime affair. There’s definitely so much more you can do with jumpsuits, adding a blazer can make most structured jumpsuits office appropriate and big bold necklaces can spruce up a black jumpsuit. Point is, do not fear the jumpsuit – there’s plenty you can do with it.